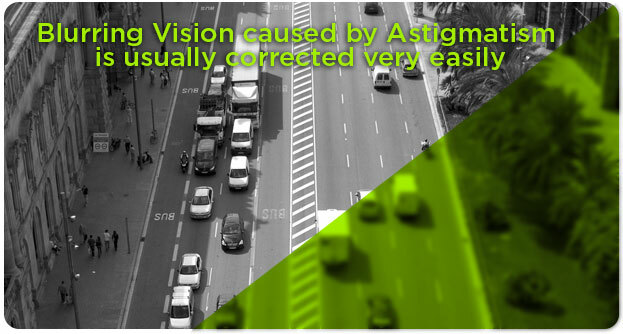 Astigmatism is a type of refractive error where light is not focused evenly on the retina. Distorted or blurred vision results at all distances. Additional symptoms can include headaches, eyestrain, trouble driving at night and more. If it occurs early in life it can result in amblyopia. It is unclear what causes astigmatism. Genetics may play a role. The underlying mechanism involves abnormalities in the eye’s lens or an irregular curvature of the cornea. Boyle Eye Specialists in Scranton, Pennsylvania will diagnosis the situation with a comprehensive eye exam. There are 3 possibilities for treatment: glasses, contact lenses, and surgery. Glasses are the simplest of course while contact lenses can provide a wider field of vision. Refractive surgery permanently changes the shape of the eye and corrects the situation.